Students have the option to request a mailbox for mail and package delivery. The mailbox is not associated with your room. The MHC, Downtown Commons, and Lassonde Studios have mailboxes within their building area. All other residents will be assigned a mailbox in the PHC. Please review the new mail process for Downtown Commons below. 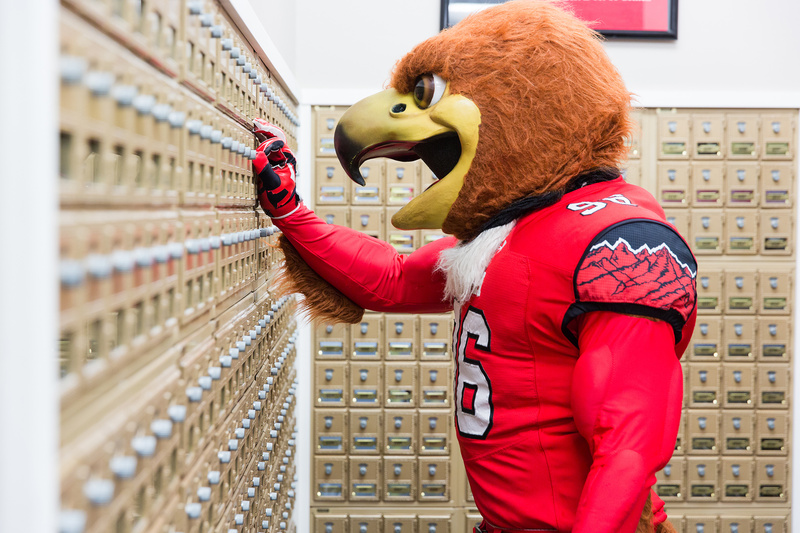 You can sign up for a mailbox in Housing U prior to the start of the academic year. Your mailbox assignment will be emailed to you prior to the start of the semester. Students will use same address as above, but will pick up their package from the Package Concierge package locker system onsite at Block 44. Please scroll down for more information on this system. Marriott Honors Community Adjacent to the MHC front desk. The service desk can assist students in obtaining their packages. Lassonde Studios Near the main stairwell. The service desk can assist students in obtaining their packages. Your mailbox will either have a combination or key. You can obtain the combination or key from the front desk or mailroom when it is open. If you need help with your combination, please alert the mail or desk staff. Please have an ID so that we can confirm the box belongs to you. Packages can be picked up one all of the mail is processed, generally after 5:00 p.m. You will receive a package slip in your mailbox. You will also receive an email to your Umail letting you know that you have a package. Please bring your student ID to pick up your package. Due to limited space, packages will be held for a seven day period. Paper mail does not have a time limit, but will be returned to sender if the mailbox is not emptied on a regular basis. Please pick up perishable packages within 24 hours. As of February 27, 2017 the following process regarding all packages or large envelopes was implemented for Downtown Commons. All packages sent to Block 44 will be received in Package Concierge (a package locker system). Residents will use their normal shipping address and mail carriers will deliver the packages to the Package Concierge boxes located at Block 44. Students will receive an email with an access code to enter into the touchscreen to pick up the package. Large packages that will not fit in the lockers will be kept in the leasing office. If Package Concierge lockers are full, packages will also be held at the leasing office. We are able to accept your mail and packages up to seven days prior to move in. Please send a notice to your mailroom of your intent to send packages early to ensure that you have an active mailbox.